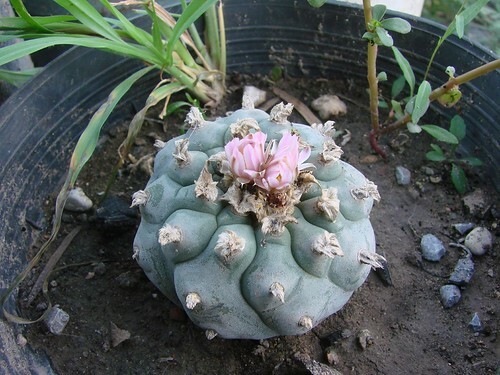 Welcome to my website dedicated to Lophophora williamsii, more commonly known as peyote. Here you will find a wide range of information about the organism I chose to research on for my Organismal Biology course. Feel free to explore this site to learn more about a plant that has effected humans for thousands of years. I hope you learn a lot from visiting this site and gain a better understanding of this interesting organism. I suggest visiting the classification page first to familiarize yourself with the taxonomy of L.williamsii. If you are interested in learning about other organisms, check out multipleorganisms.net. There you will find other websites that my classmates at the University of Wisconsin- La Crosse have created.